Dr. Schmitz is a geologist with research with interests ranging from the physical (groundwater movement and geologic controls on groundwater movement) and chemical (natural water composition and contaminant transport) aspects of hydrogeology to related environmental areas of hazardous and nonhazardous waste disposal (siting, seismic considerations, biodegradation, and the properties of earth materials). He received his undergraduate degree in the field of Geology from Mississippi State University, a M.S. in Engineering Science – Geology from University of Mississippi, and his Ph.D. of Geology from Texas A&M University in 1991. 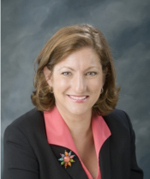 Dr. Donna Pierce is a Co-PI on the INSPIRE project and leads the space science research team. She received her Ph.D. in astronomy from the University of Maryland in 2006, where she was also a science associate for NASA's Deep Impact mission. 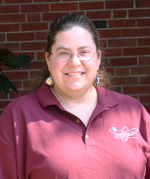 Her research focuses on planetary astronomy and astrochemistry, and she has ongoing collaborations with researchers at the University of Maryland and the University of Texas. Her research program actively involves both undergraduate and graduate students. 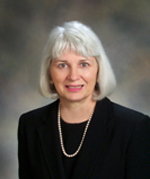 Dr. Bruce is very active in the IEEE Geoscience and Remote Sensing Society, where she serves as a associate editor of the IEEE journal, regularly serves on international conference technical and organizing committees, and has served as chair of the IEEE International Data Fusion Committee. She is a member of the Phi Kappa Phi, Eta Kappa Nu, and Tau Beta Pi honor societies, and prior to becoming a faculty member, she held the prestigious title of National Science Foundation Research Fellow. Dr. Bruce holds BS, MS, and PhD degrees in Electrical and Computer Engineering from the University of Alabama in Huntsville and the Georgia Institute of Technology. Her academic research and fields of interest include wavelets, remote sensing, pattern recognition, digital image processing, and digital signal processing. 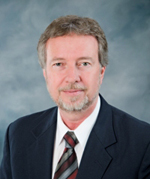 Dr. Harpole is Director of the Center for Science, Mathematics and Technology. She is a graduate of Mississippi State University with a B.S in 1971, M.Ed. in 1983 and a doctorate in education in 1986. Among the honors Dr. Harpole has received are the Presidential Award for Excellence in Science Teaching, the John Grisham Master Teacher Award, the Mississippi Science Teachers Association Outstanding College Science Teacher Award, the Faculty Achievement Award for her contributions in service, Outstanding Faculty Woman at Mississippi State University twice, and a Distinguished Service Citation from the American Association of Physics Teachers. She has recently been recognized as one of the Dynamic Women of Mississippi. 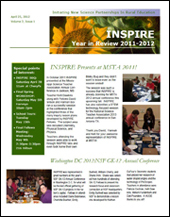 A liaison between K-12 schools and MSU while being a pivotal resource to GK12 fellows in their experiences in the classroom, aiding in the enhancement of STEM education across a range of academic levels for the INSPIRE program. She recieved degrees in Interdisciplanary Studies (BS) from Texas A&M University and Geosciences (MS) at Mississippi State University. Mrs. Radencic is certified as both an International Baccalaurete MYP andNasa Middle School Aerospace Scholar. 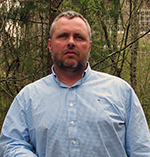 Mr. Cartwright is a Research Associate for the GeoSystems Research Institute and the Northern Gulf Institute. His work focuses on the application of geospatial technology for coastal watershed management. He has undergraduate (Geology) and graduate (Geography) degrees in Geosciences and is currently working on his Ph.D. in Earth and Atmospheric Sciences. Dr. McNeal is currently conducting research in the field of biogeochemistry, geocognition, and geoscience education. Her research as a biogeochemist includes both laboratory and field projects that employ a range of analytical chemical techniques including gas chromatography and mass spectrometry, electrochemistry, microbiology, and in-situ measurements to study microbial processes in natural systems. Dr. McNeal’s research in geoscience education and geocognition explores questions concerning the human understanding of complex and dynamic earth system and their interactions. 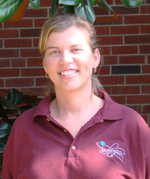 She received her undergraduate degree in Marine Science from Eckerd College, her M.S. 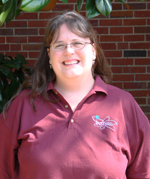 in Oceanography from Texas A&M University, and her Ph.D. of Geology from Texas A&M University in 2007.